2.5" light green, red orange lip. Sweet Frangrance. Compact. 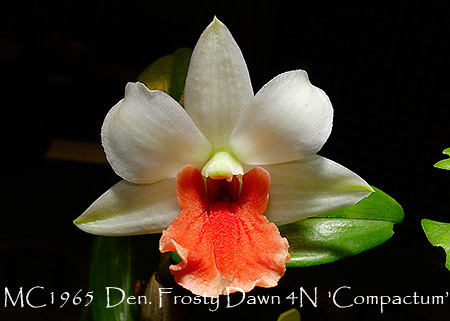 A seedling received Silver Medal, 1999 World Orchid Conference. 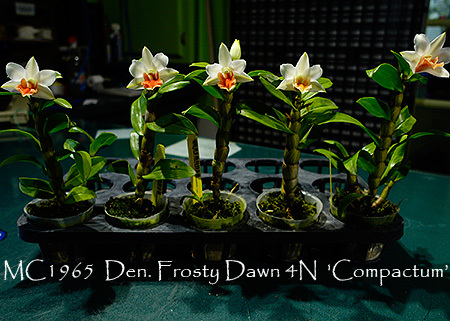 Very long lasting flowers.